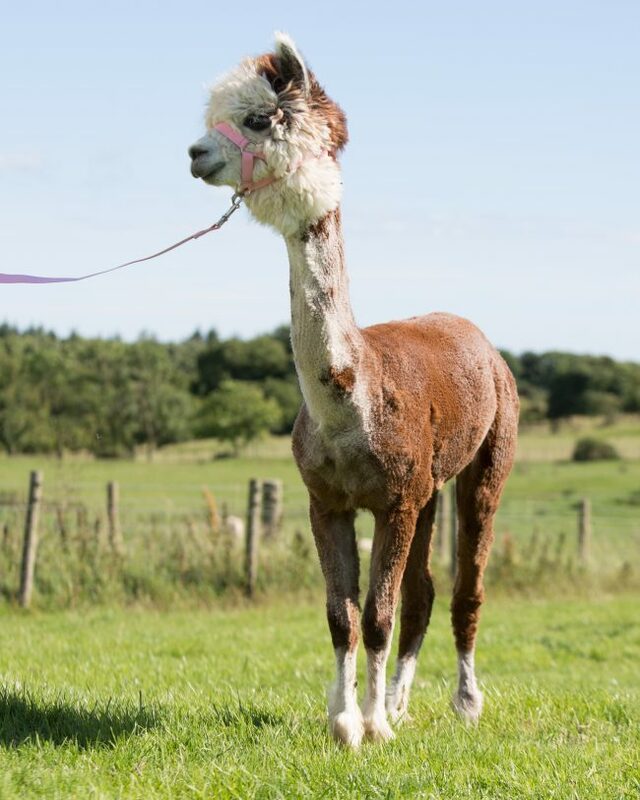 Dexter is a very fine looking alpaca with his striking rose-grey fleece and he’s shaping up to be perfect stud material (but please don’t tell him that – it will go straight to his head!). A real softy, Dexter is a particular favourite of our two year old son Joel who has even managed a little trek with him! Dexter has a real affinity with children and definitely enjoys a tiny trek being very tolerant of our younger trekkers.